Get back into your best gaming shape! Exclusive for our readers from Finland, Norway and Sweden. Lost your fitness over the festive period with all those tasty treats and foods, all devoured while enjoying some mulled wine in the company of your friends and family? Big hangover after all the New Year parties and celebrations? 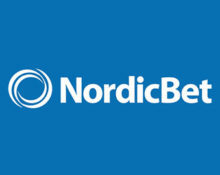 Well, time to get back to your best casino shape and NordicBet has just the right recipe for that, Fitness Tournaments. These area daily wager races on a variety of popular slots, each with a staggering cash prize pool shared among the TOP10 of each day. Plus there will be tons of Free Spins for all qualifying players who do minimum 20 spins on the tournament game of the day. Get your gear one and get into the action! 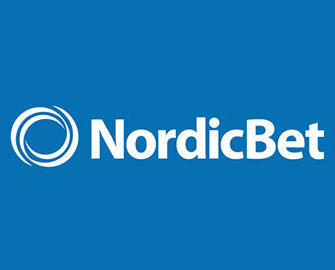 Take part in seven 1-day wager races at NordicBet, each on a different slot and with a separate €2,500 cash prize pool. The tournaments are based on “Most Game Rounds” for the day, played at minimum €1 per spin and a minimum of 20 rounds is needed to qualify. A live leader board is available on desktop only, however, play on all platforms qualifies. Each tournament is running for 24 hours from 00:01 – 23:59 CET with prizes credited in cash, no wagering requirement, within 48 hours of the tournament end. The TOP10 players of each tournament will share the €2,500 prize pool, which will be credited to accounts as cash, no wagering requirement. All players doing 20 spins at minimum €1 on the daily tournament slot will receive 10 Free Spins on the same slot, credited within 48 hours after the tournament ends. The winnings carry a 35x wagering requirement within 3 days with a €6.00 maximum bet restriction in place while wagering. 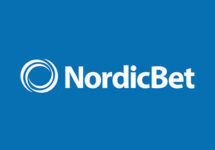 NordicBet Bonus Terms and Conditions apply. Launched in 2002, the website is operated by the acclaimed BML Group Ltd. under MGA Malta and UK Gambling Commission licenses. NordicBet offers Sportsbook, Live Bet, Casino, Live Casino, Virtual Sports and Poker with games from top providers such as Netent, Big Time Gaming, Elk Studios, IGT, Leander, Microgaming, NYX, Play’n GO, Quickspin, Scientific Games, Red Tiger, Thunderkick, WMS, Yggdrasil.